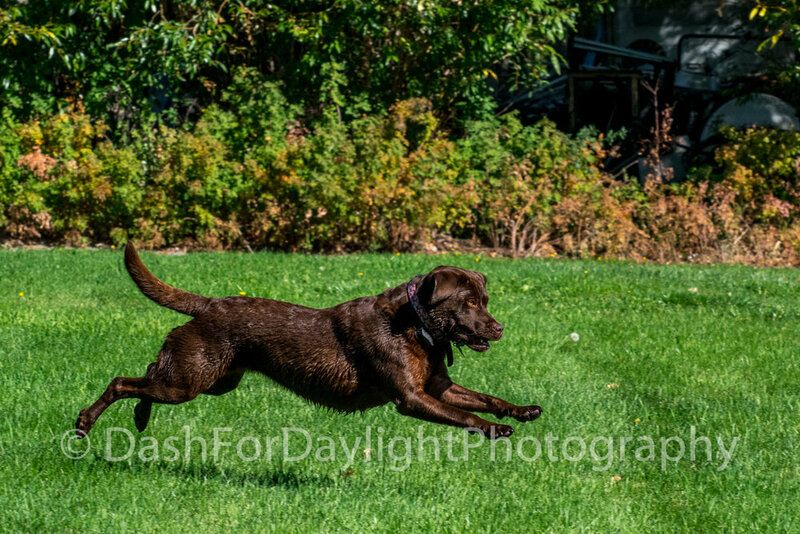 Dash For Daylight Photography provides Louisville, CO area pet lovers with fantastic, inexpensive action photos of their dog’s amazing athleticism, freezing the incredible eye popping, tongue flapping joy on their running dog’s face. 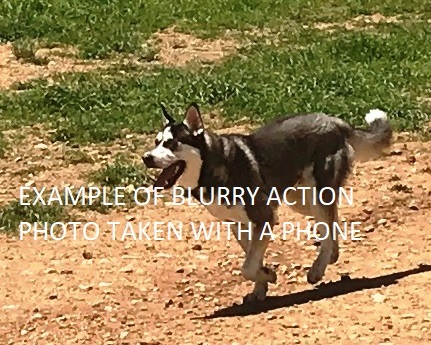 We offer convenient no obligation local photo shoots where your dog runs free, to capture those difficult high-speed action shots, in sharp high resolution. this could be your dog! your dogs deserve great photos of their joyous action! Tell us when and where your dog runs happy and we’ll take some fantastic photos. We’ll custom crop the best ones, post them on a separate web page, and provide you with the link to see them. If you like any, you can buy the digital images to post on Facebook, print beautiful enlargements, make metal, canvas or wood panels, and other cool gifts. If you’d rather not purchase any, no problem, your dog got to run happy and we had fun taking some great shots. Click the Orange Contact Button and set up a convenient, no obligation local photo shoot today. Appointments available in a 20 minute radius of Louisville, CO (Lafayette, Superior, Boulder, Broomfield, Westminster, Erie and Niwot Colorado). get fantastic, sharp photos from dash for daylight photography! Have you always wanted really cool shots of your dog zipping around, free and happy, tongue flapping and eyes wide open in pure doggy bliss? No matter how fast or how slow, your best friend always runs like he's dashing for daylight. So you pull out your phone and take picture after picture, only to sink in disappointment at seeing the blurry, pixelated results. Sometimes you think a few pictures look pretty good, so you upload them to Facebook and blow them up. And then, uhhhhhgg, your disappointing shock is even worse because you really thought you had a great shot. Let’s solve that problem right now! We use superb DSLR cameras to snare fast paced action in less than a millisecond. We can capture a variety of motion shots, from sharp frozen action that evokes a stoppage of time, to panned action producing a super sharp dog in mid flight, with a slightly blurred background to emphasize speed. 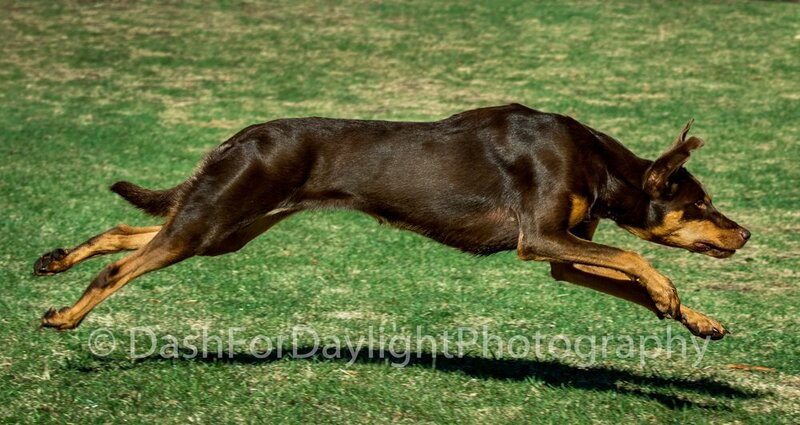 Dash For Daylight photos are sure to put a smile on your face as big as the one on your dog. Give it a try and book a local photo shoot right now, with no obligation to purchase any photos. Just tell us when and where your dog runs happy and we'll snare some great action shots. dogs, cats, horses - if they move fast, let's capture their action in sharp, crisp brilliance! Yes, we'll photograph other pets too. If you can get your cat to climb a tree, jump on a log, or just skedaddle around the yard, we can capture your elusive feline in glorious action. Do you have a horse that you'd like to photograph cantering in an arena, loping in a field, or cutting cattle in a pen, we can freeze that action too. Click the Contact button and send us a message. Let's see what action we can freeze for your delight.